"Be a part of Istanbul!" Anybody can register Istanbul-Domains since May 2016. 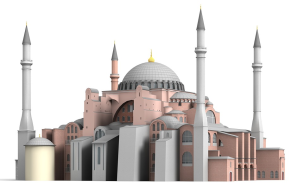 Here you can register your name among the most important New Top Level Domains like the Istanbul-domain.You have to pay 46 EUR/year for a Standard Istanbul-Domain. By clicking at the button, you confirm a free, but binding pre-registration of (a) New Top Level Domain (s), which will cost at succesful registration 46 US-Dollars/domain and year and that you have read and accepted Trade Conditions, Registrants Rights and Responsibilities, the Uniform Domain Name Dispute Resolution Policy and the policies of the registry .